We all know that listening to music at too high of a volume for a prolonged amount of time can damage our hearing, but is there any truly safe way to listen using headphones? Headphones are the preferred method for many who wish to listen to music since there is little room for sounds to get distorted in the distance between speaker and ear. They are also portable and allow wearers to listen on the go and keep their music private. Despite their positive benefits, headphones are often a cause of hearing loss because of their potential to damage the eardrum. Read on to determine which types are the best headphones for hearing loss prevention. Over ear headphones come in two different types: open and closed. With the open type of headphones, there is no seal between the headphone and the ear. If you think of the classic foam earpiece, this is the general idea. The ear pads tend to be removable and replaceable and do not trap sound inside the space between the headphone speaker and the eardrum. This means that sound can easily escape, not allowing music to get too loud, damaging the ear. Unfortunately this also allows for more sounds to enter the ear, decreasing the effectiveness of the headphone. Wearers tend to overcompensate and increase the volume of their music, which in turn leads to hearing loss. Closed over ear headphones are what you might think of when you consider noise-cancelling headphones. They create a solid seal that traps sounds inside the ear and does not allow outside sounds to penetrate the headphone. These headphones prevent hearing loss if used properly because the listener has complete control over what is hitting their ears. They can turn down the volume on their music because they do not need to compete with outside sounds. In ear headphones, often called ear buds, have increased in popularity over the years due to their small size and powerful sound. Ear buds fit completely inside the ear, placing the speaker extremely close to the auditory canal. 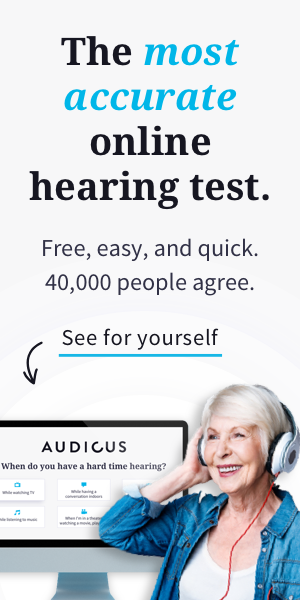 This is both beneficial and potentially a dangerous cause of hearing loss. Like noise-cancelling headphones, users can block out all other sounds allowing for a lower volume, or conversely, can crank up the volume to cause ear damage. Bluetooth capabilities are now standard in many phones, cars, televisions, and other technologies. Headphones with Bluetooth connections do not have to be plugged into a device to work. They use a wireless signal to connect, though wearers have to maintain a close distance to the device they connect to. One of the great things about Bluetooth is that it is used not only in headphones but also in hearing aids. For those who already experience hearing loss, Bluetooth hearing aids might be the right solution for playing music at the right volume while also boosting everyday sounds.